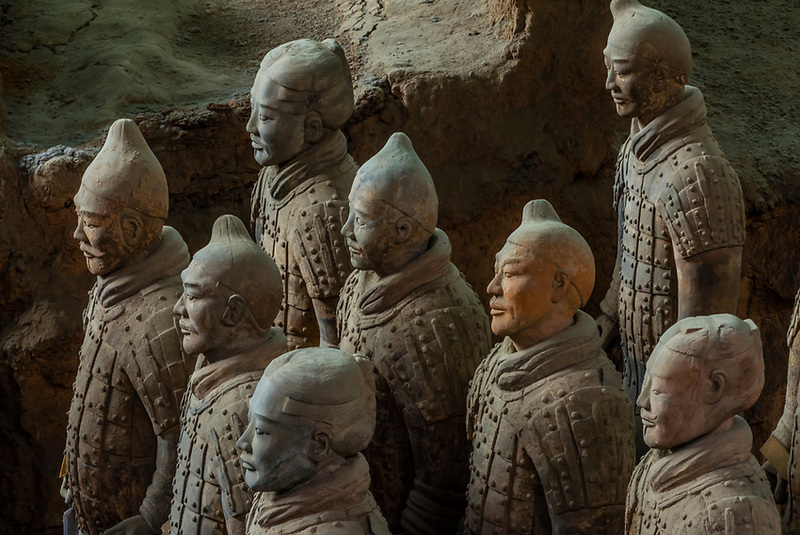 Pit 1, the excavation site of the Terracotta Army of Emperor Qin Shi Huang, the first emperor of China. The Army was buried with the Emperor in about 210–209 BCE. Their purpose was to protect the emperor in the afterlife. Mausoleum of the First Qin EmperorXi'an, Shaanxi Province, China.